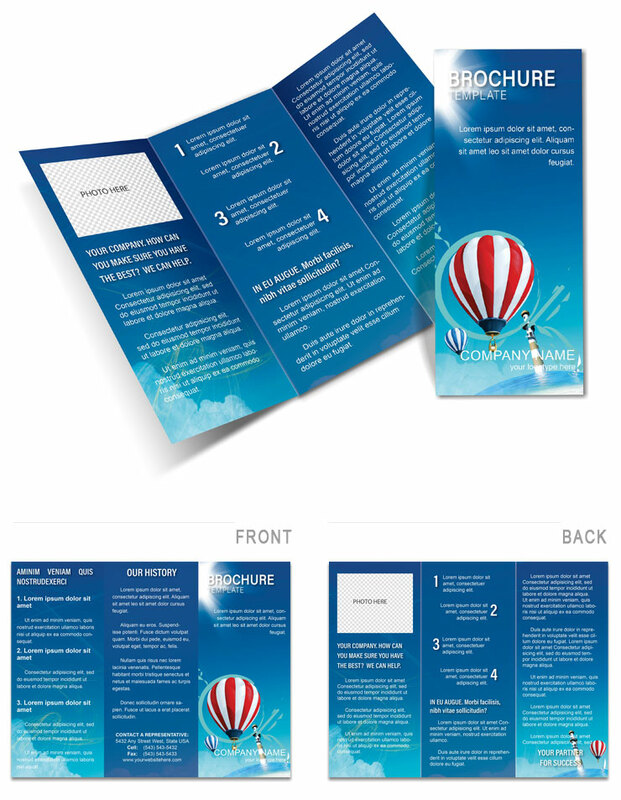 Aerostat Brochure Template: Since ancient times people have dreamed up in the air, to soar like birds there. To them they imitated in their first attempts to get off the ground. Design brochure probably suit travel agencies.